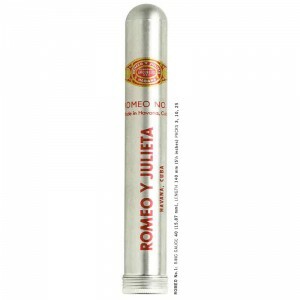 Named after William Shakespeare’s tragic lovers, the origins of Romeo y Julieta as a Habano date back to 1875. The brand rose to international fame during the early years of the 20th Century under the direction of Don “Pepin” Fernandez, a talented promoter, who was amongst the first to recognise the power of the cigar band. During his hey day no less than 20,000 different bands were used in production. Winston Churchill became a devotee ofRomeo y Julieta. Since his visit to Havana in 1946, his name has not only been commemorated on a band but it has also served to describe the marque’s most famous size measuring 7 inches (178 mm) by 47 ring gauge — the Churchill. Romeo y Julieta’s balanced and aromatic blend of selected leaves from the Vuelta Abajo region make it the classic medium bodied Habano. Today Romeo y Julieta is as well known around the world as ever and offers the widest range of totalmente a mano, tripa larga – totally hand made, long filler – sizes available in any Habano brand. 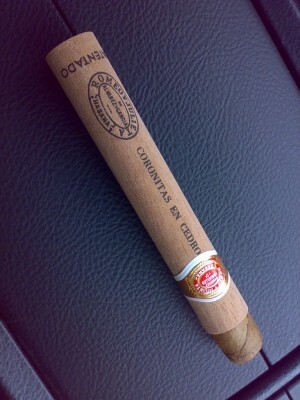 On 2006 was launched to the market a new vitola Shorts Churchills of Romeo y Julieta: it name is Robustos, the size that was missed in the brand. The VIII Habanos Festivals was the devised moment for its launch and the ideal opportunity of Habanos, S.A. to present the new image of the brand Romeo y Julieta with a new band and tube design. Presentations : Wooden boxes with 10 and 25 units and carton packs of 5 units.